John Sloan, "Red Kimono on the Roof," 1912, oil on canvas, 24 x 20 inches. Indianapolis Museum of Art at Newfields, James E. Roberts Fund, 54.55. The Palmer Museum of Art at Penn State is organizing a major loan exhibition on American artist John Sloan. 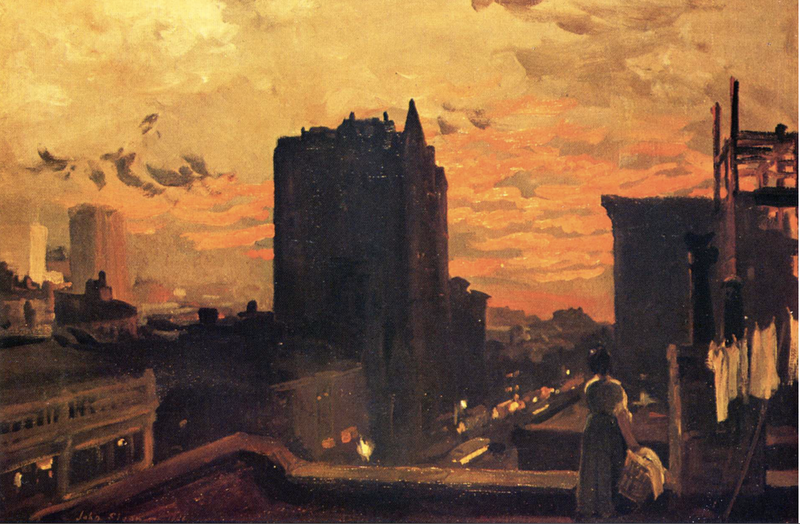 "From the Rooftops: John Sloan and the Art of a New Urban Space" will be on view at the Palmer from Feb. 3 to May 12, before traveling to the Hyde Collection in Glens Falls, New York, where it will be on view from June 16 through Sept. 15. 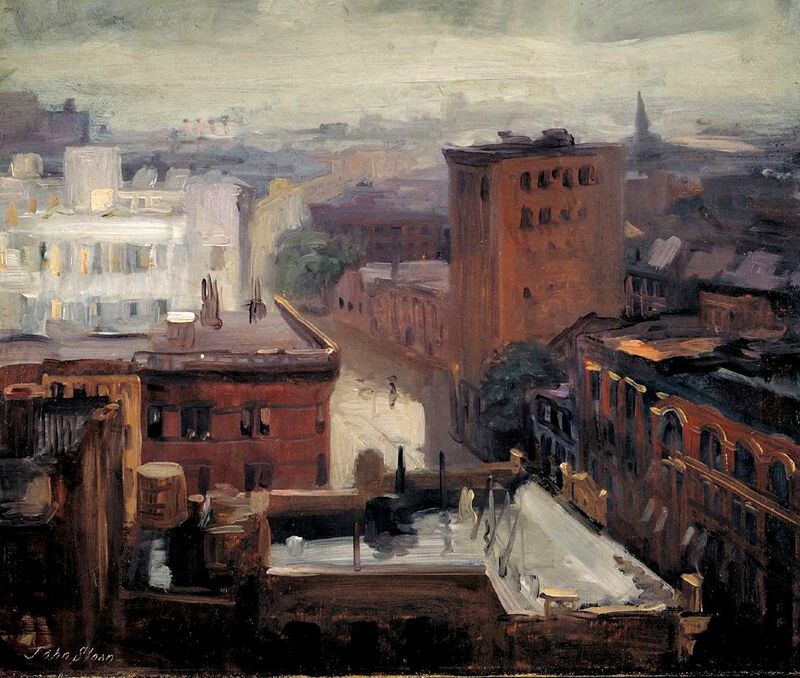 Ashcan School painter John Sloan (1871–1951) was preoccupied with the New York City rooftop perhaps more than any other American artist in the first half of the 20th century. This setting factors in some of his most iconic and celebrated works, many of which focus on immigrant and working-class subjects. 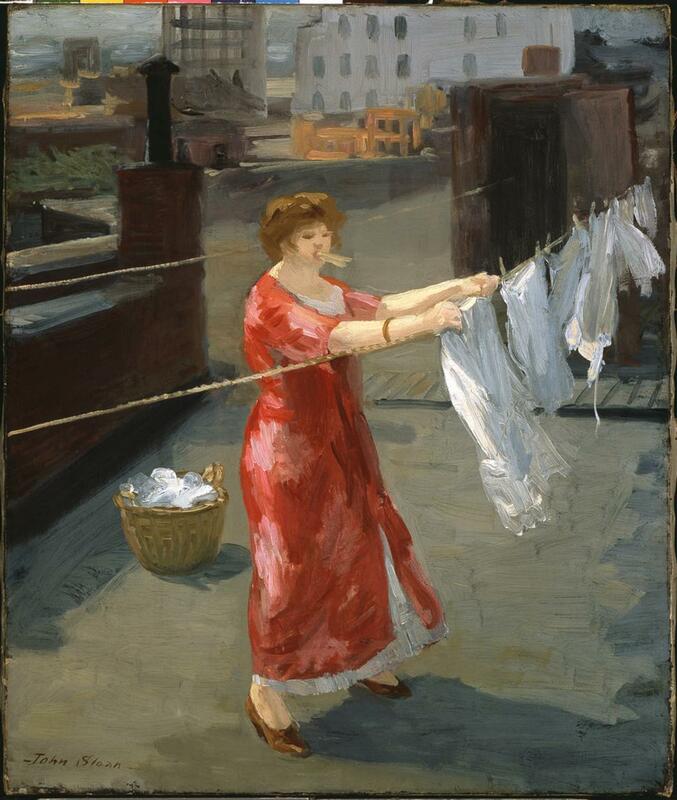 The Ashcan School was a artistic movement depicting daily life in New York City. This loan exhibition offers the first in-depth examination of Sloan’s career-long fascination with the life of the urban rooftop by bringing together nearly 30 of his paintings, prints and drawings. "From the Rooftops" expands on the visual culture of “the city above the city” by featuring 30 additional works from more than a dozen notable contemporaries of Sloan. The changing fabric of the metropolis enabled new aesthetic and leisure possibilities up high, such as the roof garden entertainments painted by William Glackens and Charles Hoffbauer just after the turn of the century. Cecil Bell, Reginald Marsh, and Louis Ribak studied with Sloan and later depicted varied rooftop locales in the 1930s. Nocturnal scenes by printmakers Martin Lewis and Armin Landeck, candid photographs by Walter Rosenblum and Weegee, and surrealist-inflected paintings by George Ault and Hughie Lee-Smith are among the varied examples complementing and contextualizing the story of Sloan’s sustained interest in rooftop spaces. 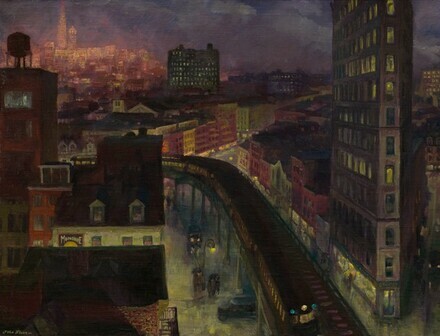 “Featuring Sloan’s masterful treatments of elevated urban environments in New York City alongside the work of important contemporaries offers the opportunity to consider afresh the legacy of the Ashcan School and the experience of a vital part of the city in the early decades of the last century,” added Thomas. Organized by the Palmer Museum of Art, "From the Rooftops" will be accompanied by a publication with an essay by Thomas, who is also affiliate assistant professor in the Department of Art History at Penn State. He is a contributing author to the exhibition catalogs "Wild Spaces, Open Seasons: Hunting and Fishing in American Art" (2016) and "Bold, Cautious, True: Walt Whitman and American Art of the Civil War Era" (2009).